Today I needed a break from trying to learn the basics as I switch from a Windows PC to my new Mac Book Pro plus trying to learn Final Cut Express. So, as a diversion, I began playing around on the net and that’s when I found something new to me about my husband’s great, great grandfather Francis Albert Garee. First I’ll provide some of the basic information about Francis. He went by Frank but in official documents he seems to usually be listed as F. A. Frank was born to Jacob and Eliza Garee in 1846 in Pennsylvania but grew up in Ohio and married Rebecca Hamilton in 1872 in Kansas. 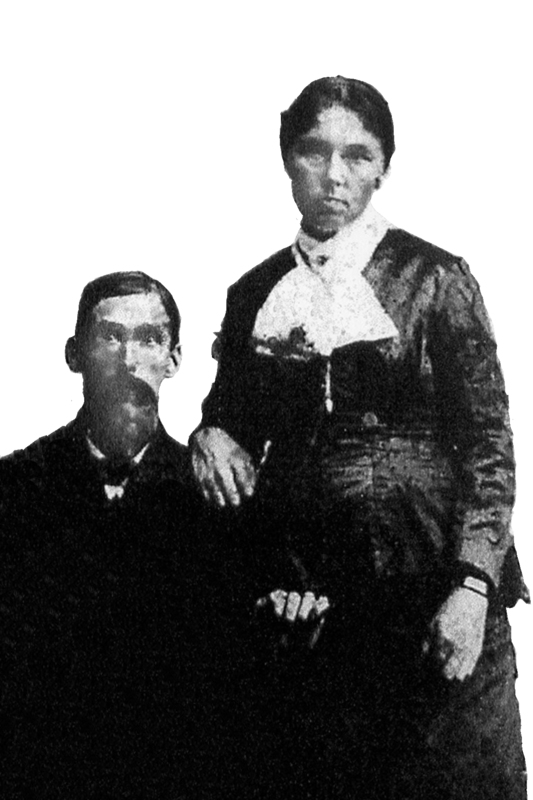 They had 2 children: Charles Edwin & Elda May both born in Kansas. Soon after Elda was born, in 1879, the family moved to Missouri and in 1896 Frank and his family to Noble, Oklahoma where he helped his son, Ed, operate a nursery and later Frank became a beekeeper. Frank died in 1931 in Noble, Oklahoma. Here’s the new item I found: an article written by Francis Albert Garee and published in a periodical called the Gleanings in Bee Culture. Grandfather Garee kept a large number of colonies of bees and produced a very fine honey. At the state fair, along with livestock entries, he took materials for exhibits of honey and honey products. Some of these artistic displays were the handiwork of his daughter, Elda Beasley. I have watched my grandfather by the hour as he worked at his beekeeping duties, preparing the frames to put into the hives for the bees to fill with honey. I think it was there that I first realized the importance of painstaking care and precision in one’s everyday work. Every little square that went into a frame, every frame that went into a hive or super, was thoroughly clean and was positioned precisely. He tapped each part with the handle of his knife until it was exactly positioned. A frame or square out of line would lead to irregular honeycomb, for the bee is a very precise engineer. Shortly after the turn of the century my Father and I were operating a newly established nursery. A. H. Symcox, an ancestor of the present operators of the City National Bank, lived just south of Norman. About 1904, Mr. Symcox traded me a pure bred Duroc Jersey sow pig for $10.00 worth of fruit trees. We named and registered her “Red Dress”. She proved to be a good one and was the beginning of a considerable herd of Durocs which we operated for a number of years as a side issue to the nursery business. We added a few animals from time to time always from the top blood lines of the breed and in Sept. 1907 I drove into the show ring “Red Ranger” the first Grand Champion Duroc Jersey boar of the Oklahoma State Fair, of which Dad and I were charter members. We continued to exhibit Duroc hogs, honey and other products at the fair for a few years, always with a fair share of winnings. In the fall of 1909, brought home a case of hog cholera, but that gives rise to another story. On Doug Dawgz site there is some history of the Oklahoma State Fair with old postcard images. Business owners throughout the state became stockholders to help fund the fair. In the January 6, 1907, edition of the Daily Oklahoman, the bold headline reads, “Jones Favors State Fair”. 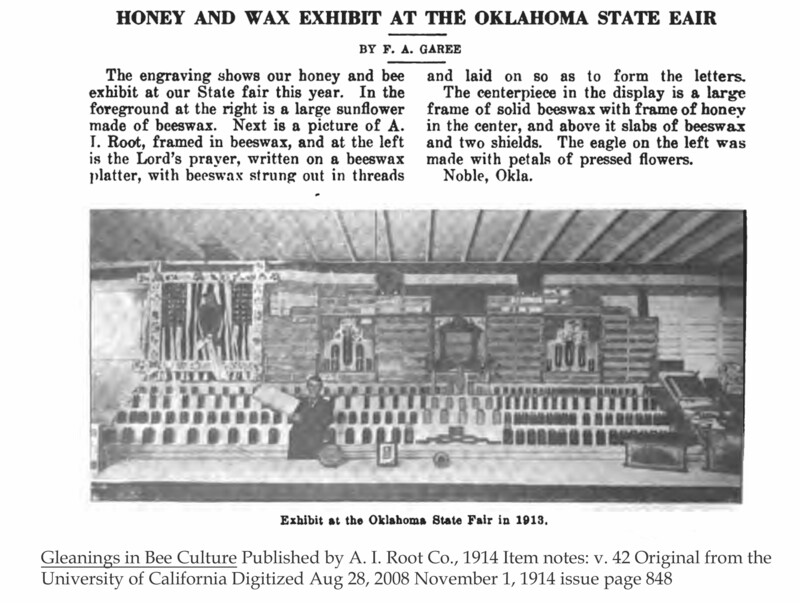 The Oklahoma Historical Society webpage provides some history of the Oklahoma State Fair and interestingly the same year that F.A.’s article was written, 1913, the state legislature banned gambling on horse races, which could have made the attendance lower but due to the public’s fascination with automobiles and air flight the attendance did not suffer. Don’t you love it when you find something new? This is a great article. It’s neat to have everything pulled together in one place. Very interesting personal info about the Oklahoma State Fair. I love new things! Thank you for taking the time to provide feedback to me. It’s always nice to hear from others.